Once all of the available Houses are full, we open another House. We always have room for anyone that wants to join! Each House meets twice a month, and all of the Houses do the same activities, so all of the girls are getting the same Geek Girl experience. Occasionally, we have workshops or field trips that will meet on the weekends, where all the Houses will join together for the event. That depends on a lot of things. Although we duplicate the meetings every cycle so all the Houses do all the same activities, each House has a different mix of girls and a different vibe. Some are louder and super spaztastic, some are quieter, and some are beautifully weirder. As with the other Houses, when one is full, we will open another to accommodate everyone who wants to participate. We can accommodate for girls with special social needs or are on the spectrum. Please contact us and we can work with you to determine which House would be best. We are happy to help you find the right House for you, or just pick a House based on your schedule. We know you'll have a great time no matter which House you join! Have a group that wants to join together? We are happy to open a new House for 3 girls or more. House 1 is currently looking for new members! Do you and a friend want to join together? Consider House 1. House 3 is a mix of girls between the ages of 12 and 16, and is almost full. Please contact us first, if you think this is the House for you. This groups' dates tend to flex around holidays so we don't miss meetings. House 2 is a mix of girls between the ages of 8 and 12, and it gets really silly quite often. House 2 has a couple spots open, if you are interested in joining. House 4 is our newest House, starting November 14, 2018, and will be hosted in Geeky Teas and Games in Burbank. We are accepting memberships for all ages in this house and are beyond excited to add a new location to the group. *Allergy note - this location is home to two free roaming shop cats. The space is not carpeted and kept very clean, but there are cats on the premises. Did we mention how cool the uniforms are? We provide you with the official Geek Girls Society necktie, complete with the super duper keen Geek Girls Society crest badge. You pair it with a white shirt and literally whatever else you want! A cape, wings, a tiara, a Hogwarts robe, Pokémon tights, a tutu and combat boots... whatever! 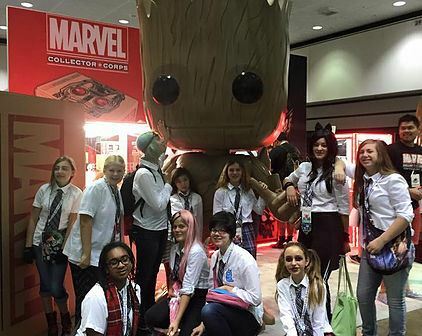 Geek Girls are unified through their shirt and tie, but express their passions, individuality, and fandoms through the rest of their outfits. Here's the coolest part... you'll earn badges to add to your tie, for things like cosplay, fanfiction, comic books, comic cons, and so much more! We meet twice a month, with each meeting repeating through all the Houses in a cycle, so everyone gets to have the same fun no matter what House they choose. There are two cycles per month. We have discussions on what it means to be a "good geek", including respecting yourself and each other, handling yourself in the greater fandom world on the internet, and treating other geeks with kindness and dignity, even when we don't love the same things. The girls share the things they are passionate about during Geeky Show & Tell, where they often discover they have more fandoms in common than they thought, and they educate each other on fandoms they haven't experienced yet. We learn new skills, create cool crafts, solve puzzles, play games, brainstorm crazy ideas, work on badges (yes, we have badges! ), and more often than not, we break out SuperFight and have epic battle royales. We keep all of our activities and projects non-specific to any particular fandom. We don't want to impose likes or dislikes on the girls. We want to allow them to love what they love without anyone telling them it's right or wrong or cool or weird. (And anyway, doesn't that combination pretty much describe every fandom?) Instead, we give them the concept and allow them to interpret it with any fandom or mash up of fandoms that they want to use. Nobody has to prove themselves a "real" fangirl around these here parts. If you're passionate about something, you belong! Membership is $30 a month per member. 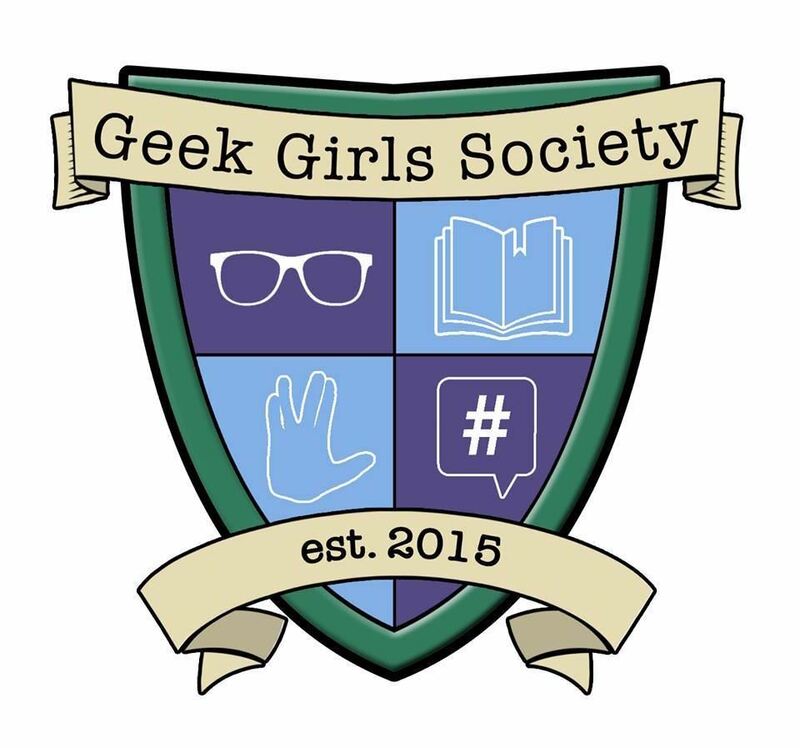 There is also a one-time registration fee* of $35 that includes the official Geek Girl Society tie and any badges that a member may earn. Have more than one child interested in joining? We do offer discounts for sibling members. Terms and Conditions: Monthly membership is due/renewed on your join date. Membership can be cancelled at anytime by discontinuing your automatic payments. Membership fees are still required in the case of missed meetings due to member's cause. Any missed/cancelled meetings due to Geek Girls Society cause will be immediately refunded. If member will have an extended absence, defined as missing more than 2 meetings in a row, please alert us and we will discuss member's options at that time. *If member rejoins the group more than 365 days after original departure, the registration fee will be incurred again. 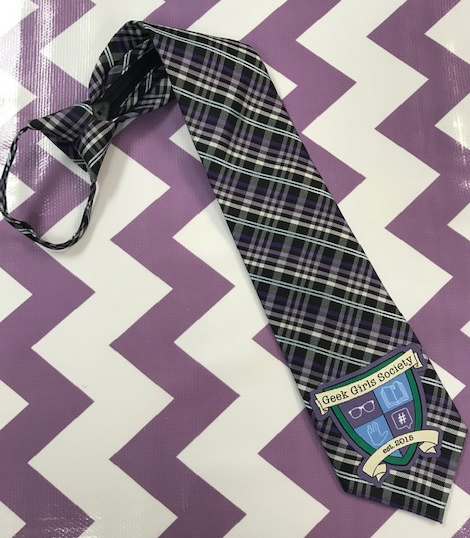 Membership fee may be discounted if member still has their original tie.